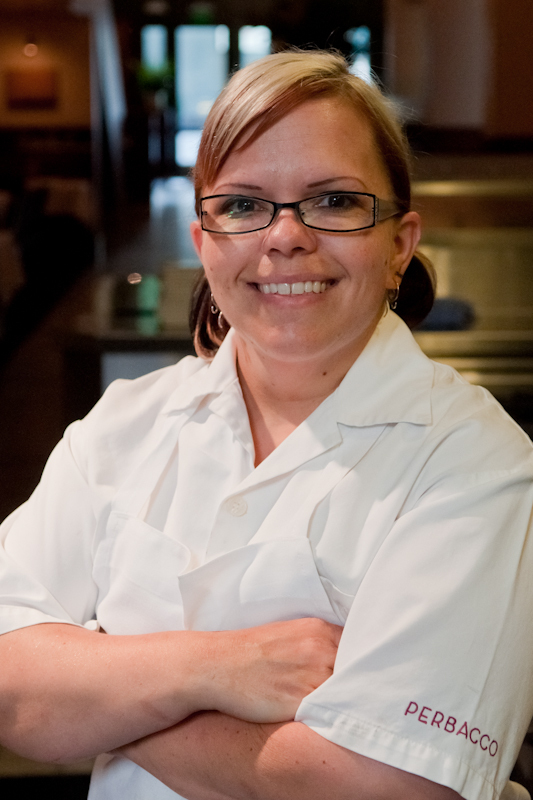 Like me, Suzanne LaFleur, pastry chef at Perbacco and Barbacco, began her kitchen career on the savory side. Raised in San Jose, she graduated from The California Culinary Academy and her work resume includes The Grand Café, Waterfront, Silks and Yoshi’s. Her first pastry chef job was at Silks. Looking back over her restaurant experiences she feels that savory work taught her many skills she uses on a daily basis in pastry. Among them, how to not crowd a pan for better results and working the grill for speed and efficiency. Bruce Hill at Waterfront was influential as she learned from his impressive palate. Cardamom- the green pods, not the ground up black kind. Caramelized White Chocolate- I put it in a big hotel pan, bake it at 200 degrees and constantly stir it. 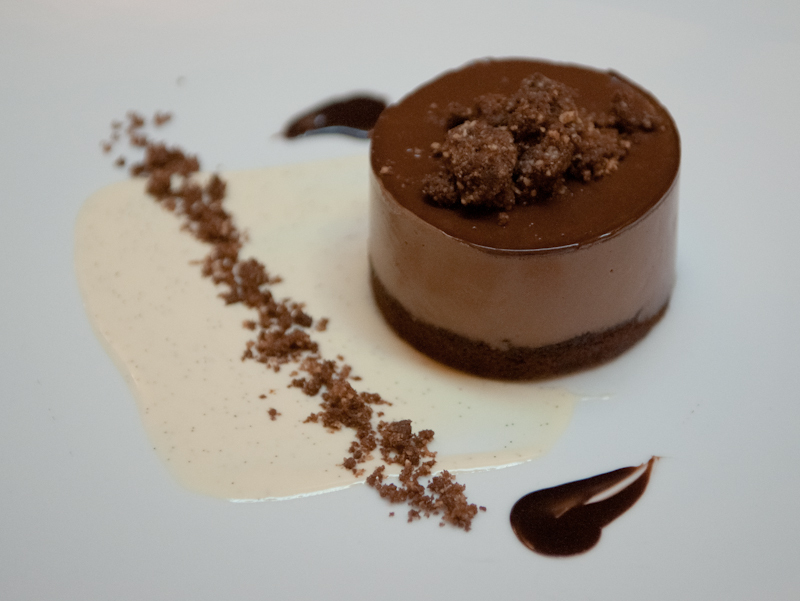 Anything with crunch- cocoa nibs and feuillentine (crushed cookies that taste like sugar cones. Quince. Before it went out of season I served it poached with gingerbread cake and squash seed brittle. A Chinois. If you can strain it you probably should. Sushizone on Market near Destino and Broken Record on Geneva. The latter is primarily a bar but they have a window in the back where you can order really good comfort food. My girlfriend and I made peppercorn crusted New York Steaks with a potato gratin. She reads like an interesting guest. I’d like to have her as my neighbor. I know I could learn a few things.